It’s that time of year when every blogger on the East Coast wants you to know she can reach for fruit all on her own while wearing plaid. Ha! Fooled you, I’m not wearing plaid. Apple picking is one of my favorite activities. I get inspired and creative, I want to be the next Martha Stewart and make 12 different apple dishes in one night. This year I went with some friends from the volunteer program I do here and there, and I think we were the biggest kids in the entire orchard. I haven’t laughed that hard in a while. 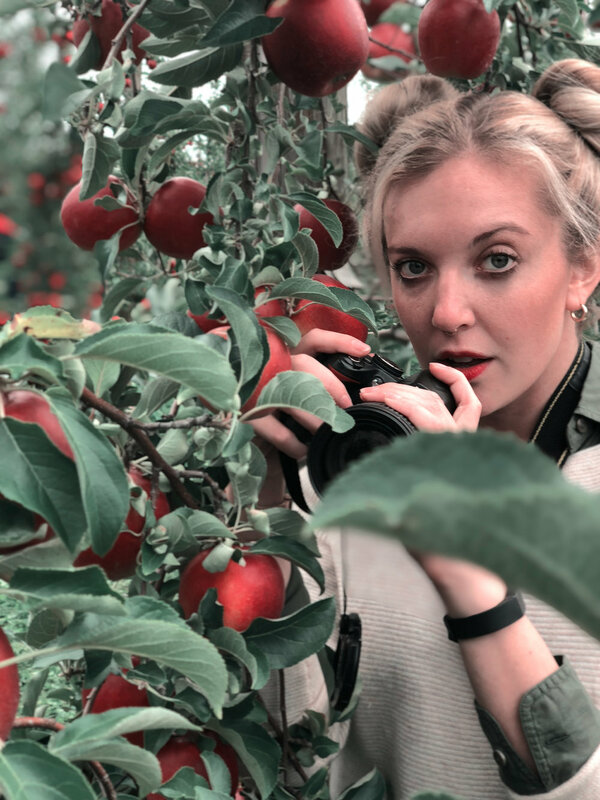 From posing like Snow White to eating our weight in apples, justifying the prices (ya I said it, it’s overpriced to pick apples), we all felt like teens again. It’s funny looking around the orchard, every young Millennial girl was dressed up; either in the “Han Solo” uniform (vest, button up, boots), or some other cute “fall outfit.” I felt very underdressed, and that’s coming from me! But, I don’t hate it! I love seeing people getting dressed up, and I especially love couples who match! How you know you’re into fashion: when you say “awwwe” to matching couples louder than you do to old people holding hands. And then I LOSE IT if I see a family all matching with their baby. My friends also discovered I have “cute aggression” today: I see an adorable chubby baby, and I just want to pull its cheeks off, maybe with my teeth. No big deal guys. The Farm I went to: Shelburne Farm (great mix of families and young people. Smaller trees, but tons to choose from - small farm store). Other Farms in MA that I love: Honeypot Hill (great family destination, big farm store) and Russel Orchard (geared more to a younger crowd without kids and AWESOME FARM STORE - it’s where I went last year).